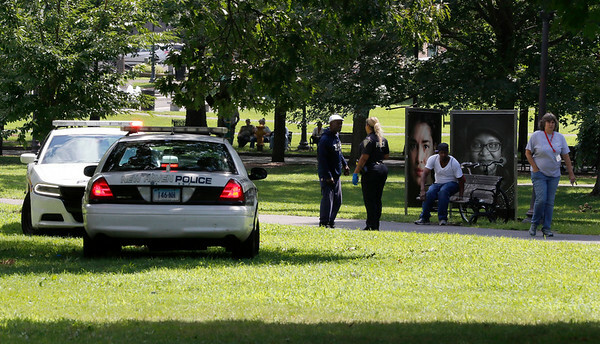 NEW HAVEN - Authorities say more than 30 people have overdosed from suspected synthetic marijuana at or near a Connecticut city park. Officials say most of the overdoses happened on the New Haven Green throughout the day Wednesday. No deaths have been reported, but authorities say two people had life-threatening symptoms. Some people fell unconscious and others vomited. Synthetic marijuana is plant material sprayed with chemicals that has been blamed for overdoses nationwide. Posted in New Britain Herald, General News, State on Wednesday, 15 August 2018 12:00. Updated: Wednesday, 15 August 2018 15:57.